Richard Irwin (Belper, United Kingdom) on 4 December 2009 in Plant & Nature. great composition- I like the drop on the second one. 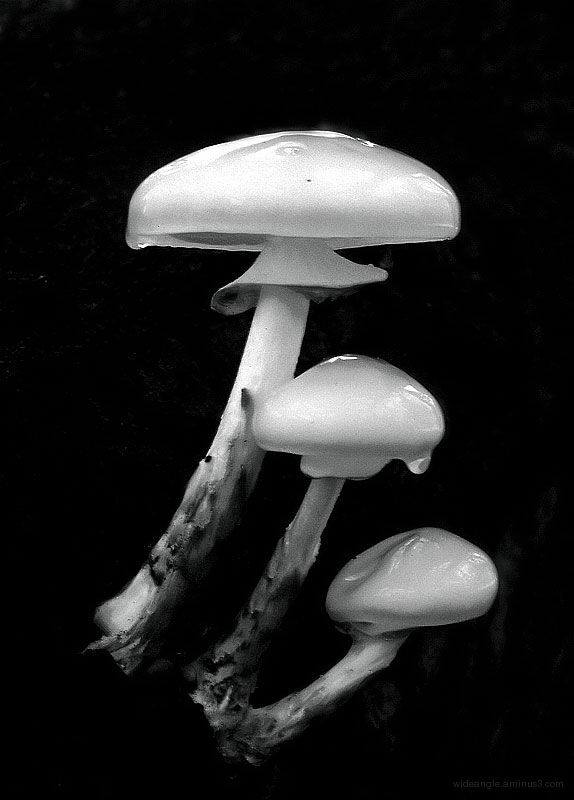 The lines and patterns as well as the glow of the mushrooms make this image stand out. A beautiful picture and well composed and treatment, bravo! Well composed, good tonalities, very good photo. Light against the dark, it really brings them out. Nice effect. A definite porcelain look to these; good effect. Porcelain is just the right word to describe the texture. Very nice composition.